This Casual Flowy Tee is the perfect shirt for a casual comfortable look. 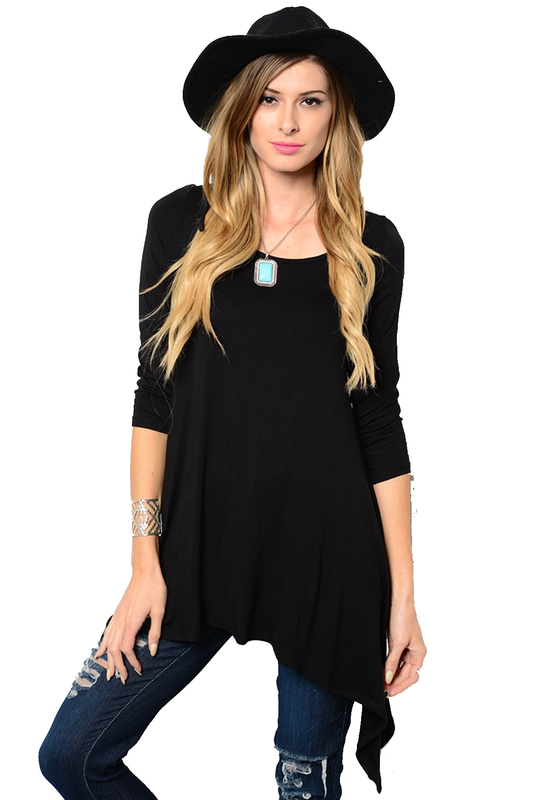 This top has a scoop neckline with 3/4 sleeve, and a flowy fabric that flatters every figure. This women's fashion top is great alone or layered. We offer various colors because you can never just have one. The Classic Black and White. Corporate Charcoal Grey or Simple Light Grey. Coral and Baby Blue are great colors to bring in the Spring and Summer. Measurements: L: 32" B: 17" W: 21"